The Daily 202: Trump’s health care ultimatum is straight out of ‘The Art of the Deal.’ It just might work. THE BIG IDEA: If you read Donald Trump’s “The Art of the Deal,” substituting “conservatives" for "contractors," the president’s ultimatum to House Republicans on health care is not at all surprising. “You have to be very rough and very tough with most contractors or they’ll take the shirt right off your back,” Trump wrote in the 1987 business classic. As a businessman, Trump bragged about his ability to drive a hard bargain to win favorable terms and make lots of money. "I also protect myself by being flexible,” he explained. “I never get too attached to one deal or one approach. … I keep a lot of balls in the air, because most deals fall out, no matter how promising they seem at first." 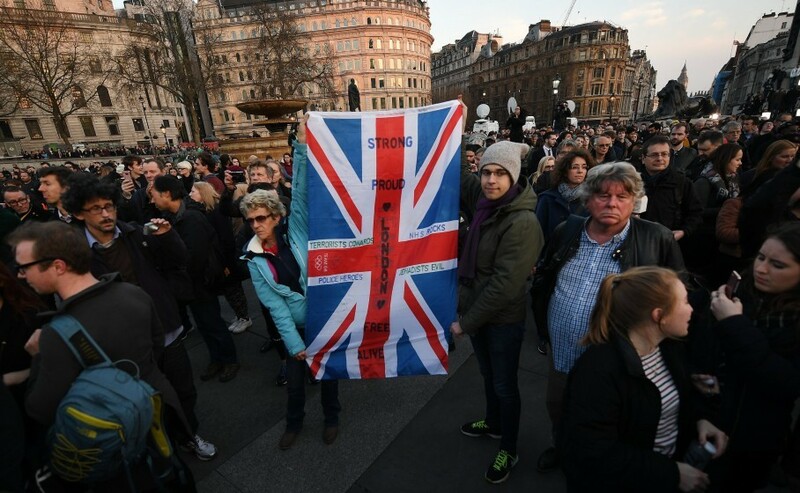 One theme he kept coming back to is that you’ve got to be willing to walk away or, more precisely, convince the people you’re negotiating with that you are. Trump recalled a 1981 meeting with the attorney general and the head of gaming enforcement for New Jersey in which he threatened to walk away from Atlantic City — despite already making huge investments on the Boardwalk there — if he didn’t get certain concessions. Trump boasted that this ploy worked. A process that normally dragged on for more than 18 months was completed within six. -- Trump, who knows this is a high-risk gamble, is following through on his campaign promise to bring a businessman’s approach to government. Today offers a big test of how that will work out. -- Rand Paul, who has been highly critical of the House legislation, brought copies of “The Art of the Deal” with him to a meeting with the Freedom Caucus last week. He urged members to brush up on Trump’s tactics. The Kentucky senator even brought a poster with a quote from a chapter on how to “use your leverage.” “The worst thing you can possibly do in a deal is seem desperate to make it,” Trump wrote. “That makes the other guy smell blood, and then you're dead." -- A lot of members are left wondering this morning: Is Trump bluffing? Is this truly the last chance to get rid of Obamacare? Most elites see Trump’s unpredictability and rashness as character flaws. The president, who embraces “the madman theory” of foreign policy, sees them as secret weapons. And they could work to his advantage this morning. A lot of House members have spent seven years promising to get rid of Obamacare, and they don’t want to get blamed if it doesn’t happen. Some who have watched Trump very closely over the years warn that he is dissembling. Rep. Dan Donovan (R-N.Y.), who has known Trump for decades and whose Staten Island district broke heavily for the president in November, left a private meeting of House Republicans last night committed to voting no. “I’ve got to think about the 744,000 people I represent,” he said. Asked about the White House’s message that killing the bill would leave no more chances for repeal, Donovan shook his head. “I don’t believe that," he said. Rep. Mark Meadows (R-N.C.), who chairs the Freedom Caucus and recently read “The Art of the Deal,” also said last night that he’s “still a ‘no’ on the bill,” though he left himself some room to flip. “I think it’s the president leading, and I applaud him for leading,” Meadows said. Amber Phillips, who is maintaining our running whip count, notes that 32 members of the House are on the record as being against the bill, and leadership can afford only 22 defections. So some people will need to change their minds. Right now, a lot of members are holding their cards close to the vest. -- While it is foolish to make a prediction when the situation is this fluid, it’s easy to see Trump’s gamble paying off. The vote could stay open for a while tonight. If it looks like it’s going down, a lot of people who are on the fence will break against it. Why walk the plank for nothing? But, if it’s really close, people who are on the sidelines might get behind it. It’s hard, if you want a future in the House, to say “no” to leadership. Ryan wants this badly. Several lawmakers said that a key moment inside the closed-door meeting of Republicans last night was when Rep. Brian Mast (R-Fla.), a freshman lawmaker who lost both his legs in 2010 while serving as an Army bomb disposal technician in Afghanistan, rose and called on his colleagues to unite behind the bill in the same way he and his comrades fought in battle. -- With fewer carrots to offer lawmakers, today’s leaders still have some sticks: Trump threatened to support primary challengers to members who cross him next year during a private meeting with House Republicans earlier this week. But standing up to the president of your own party on principle has historically played well back home, even when the president is popular. If you want to read a good primer on this, check out “ Roosevelt’s Purge” by Susan Dunn, a great exploration of FDR’s disastrous decision to support liberal primary challengers to Democratic senators in the 1938 midterms. -- A word on the substance: While Trump is driving a hard bargain, that does not necessarily mean it’s a good bargain for the American people. The president wants to cut a deal so he can get this over with. The goodies that keep getting doled out to win votes may make the underlying legislation worse. Counties in Upstate New York will pay less to the state for Medicaid, while Illinois will get more federal Medicaid funding. These concessions brought in a handful of moderates, but geographic giveaways are rarely good public policy. It is the federal government picking winners and losers based solely on where someone lives. Conservatives tend to hate that when they’re out of power. 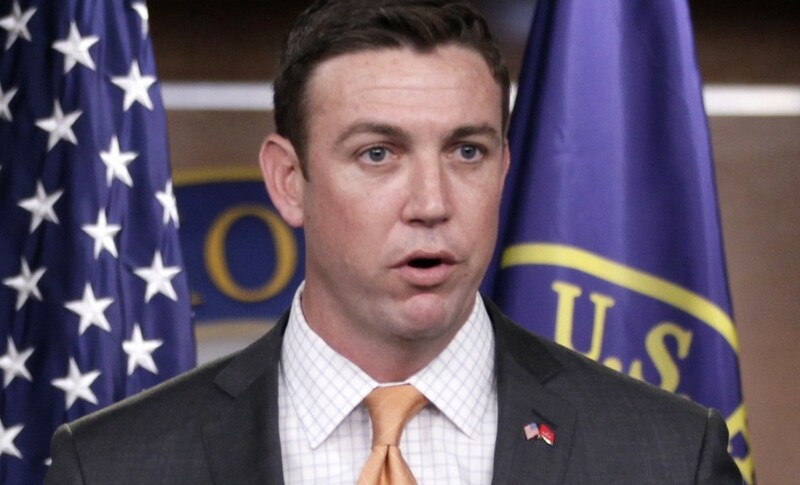 Rep. Duncan Hunter is under criminal investigation by the Justice Department over alleged campaign finance violations, the House Ethics Committee announced. “The California Republican spent tens of thousands of dollars' worth of campaign funds on items that appear to be personal in nature during 2015 and 2016 … a potential violation of House rules and federal law,” Politico’s John Bresnahan reports. “The funds were spent on groceries and outdoor equipment, a dentist, a nail salon and a utility company, as well as on a hotel in Italy and at the Arizona Grand Resort." 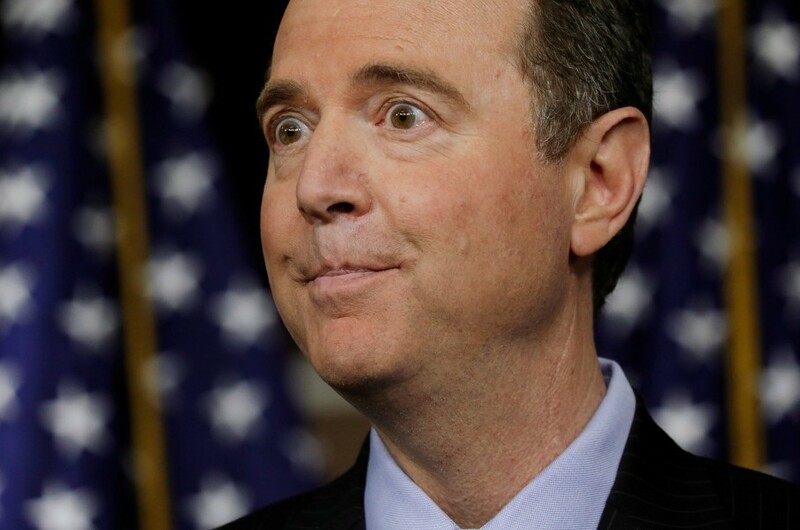 -- Upping the ante: Adam Schiff, the ranking Democrat on the House Intelligence Committee, says he has seen new information that points to possible Trump-Russia collusion, declining to provide specifics but suggesting that "it's the kind of evidence" A GRAND JURY would want to consider. "We continue to get new information that, I think, paints a more complete picture of at least what we know at the outset of our investigation," he told CNN. "I do think that it's appropriate to say that it's the kind of evidence that you would submit to a grand jury at the beginning of an investigation. It's not the kind of evidence that you take to a trial jury when you're trying to prove something beyond a reasonable doubt. But we're at the beginning of an investigation, and given the gravity of the subject matter, I think that the evidence certainly warrants us doing a thorough investigation." -- The RNC, under the leadership of Reince Priebus and Sean Spicer, paid an intelligence firm run by an ex-CIA agent who worked closely with an ex-Russian spy to dig up dirt on Hillary Clinton. When the payments first came to light, the RNC falsely claimed the money related to providing security for the committee's headquarters. Now officials acknowledge they did not tell the truth, Politico’s Kenneth P. Vogel and Eli Stokols report: “As the general election was taking shape last summer, the Republican National Committee initiated a series of payments to a low-profile firm started by retired Central Intelligence Agency officers that worked closely with an ex-Russian spy. The payments attracted attention in political and intelligence circles, largely because the Virginia-based firm, Hamilton Trading Group, had particular expertise in Russia, which was emerging as a major campaign issue at the time. RNC officials and the president and co-founder of Hamilton Trading Group, an ex-CIA officer named Ben Wickham, insisted the payments, which eventually totaled $41,500, had nothing to do with Russia. But RNC officials now acknowledge that most of the cash — $34,100 — went towards intelligence-style reports that sought to prove conflicts of interest between [Clinton’s] tenure as Secretary of State and her family’s foundation." -- “Days before his death, Putin critic said in interview he knew he was in danger,” by Andrew Roth and Natalie Gryvnyak: “In the plush, crimson-decked lobby bar of Kiev’s five-star Premier Palace Hotel, Denis Voronenkov, a Russian lawmaker who had defected to Ukraine, knew he was in danger. 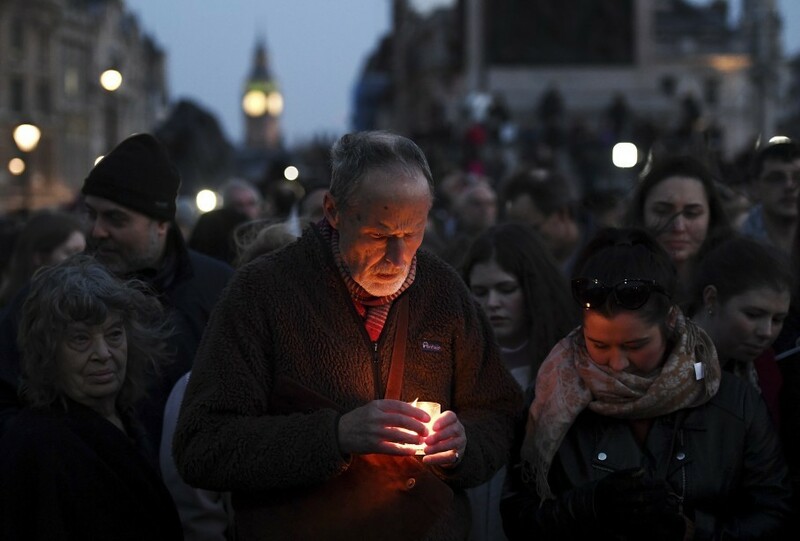 ‘For our personal safety, we can’t let them know where we are,’ he said Monday evening as he sat with his wife for an interview with [The Post]. Less than 72 hours later, he was dead, shot twice in the head in broad daylight outside the same lobby bar. Ukrainian President Petro Poroshenko, just hours later, called the attack an ‘act of state terrorism by Russia.’ [A Putin spokesman] called the accusation a ‘fabrication.’ In the weeks before his death, Voronenkov, a former member of Russia’s pliant Communist Party, had told friends he was being targeted. Hackers had been trying to pry into his Twitter account and his wife’s email. He had received threatening text messages, and the police had recently assigned him a bodyguard. There were rumors he was under surveillance." 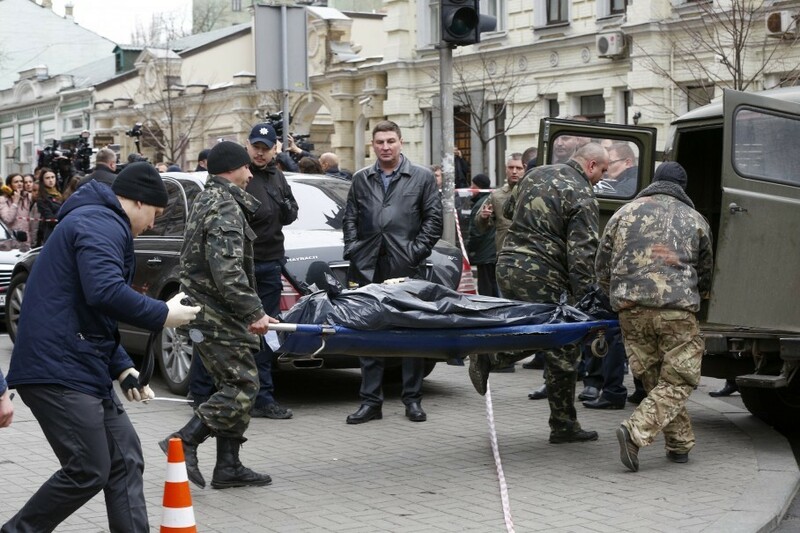 -- He is just the latest Kremlin opponent to wind up dead. Our David Filipov made a list of ten outspoken Putin critics who have died in violent or otherwise-suspicious ways. Shortly before Bulgaria, once one of the Soviet Union’s staunchest allies, joined the E.U. in 2007, Russia’s ambassador to the bloc told a local newspaper: “We are hoping that you will be our special partner, a kind of Trojan horse in the EU.” Opponents of Russia tell the Journal that the Kremlin has done everything it can to make that prophecy come true in a country that is also one of the newest members of NATO. -- French National Front party leader Marine Le Pen visited the Kremlin this morning, a sign of her coziness with the Russians. Reuters reports: Le Pen — whom recent opinion polls have found to be tied nearly neck-and-neck with centrist candidate Emmanuel Macron in France’s upcoming presidential election — is heavily favored by Russia. This is her fourth visit to Moscow since 2011. She also wants to get rid of the E.U. sanctions on Russia over its illegal invasion of Ukraine. -- Devin Nunes apologized to members of the House Intelligence Committee for not consulting with them before going public with his claims that Trump might have been surveilled. He went to the White House and the press with unsubstantiated claims that intelligence information “could have been collected” on Trump and his associates during the transition before consulting his colleagues.The California congressman's apology comes after he was eviscerated by Democrats on the committee, with some accusing him of speaking publicly in an attempt to deflect attention from Monday’s congressional hearing. 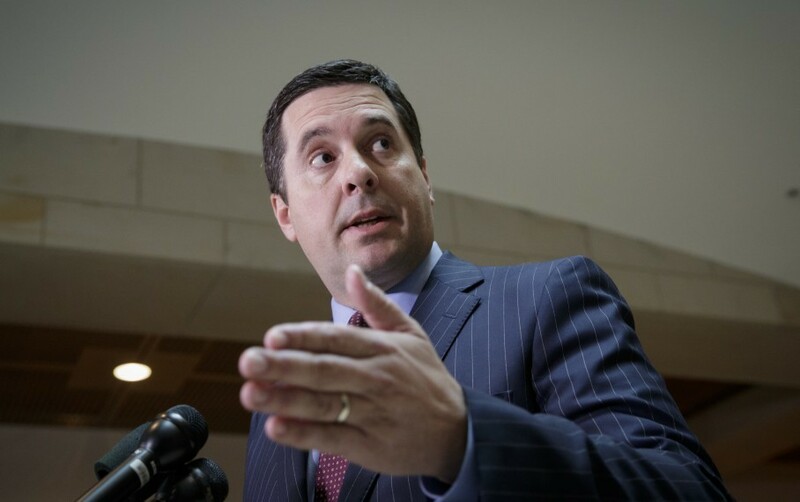 “On Thursday, Nunes said it was a ‘judgment call’ to personally brief Trump before speaking with his colleagues, who are actively investigating allegations that Russia interfered in the 2016 elections and suspected links between Trump aides and the Kremlin," Karoun Demirjian and Ellen Nakashima report. "When he made his apology, Nunes stressed ‘that he really wanted us to be bipartisan,’ said Rep. Jim Himes (D). … ‘He was contrite. Internally on the committee, he’s a very reasonable guy. But outside, on a number of occasions, he’s acted in the interests of the Trump campaign.’ Himes said Nunes’s actions ‘dramatically increased the pressure for an outside bipartisan commission.’ ... Rep. Eric Swalwell, a Democrat on the committee ... also used Nunes’s action to highlight the need for an independent commission, because 'the people we have been counting on to be impartial in getting to the bottom of what happened have shown that they cannot be,' he said." -- The New York Times’s Editorial Board calls Nunes a “lapdog in a watchdog’s role”: “It was predictable that standard congressional committee investigations into the role of Russia and the election would turn into muddled partisan fights. But Mr. Nunes’s conduct stands out for his brazenness and heedlessness." The GSA announcement means Trump’s company -- which he still owns! -- will continue benefiting from a contract ultimately overseen by his administration. 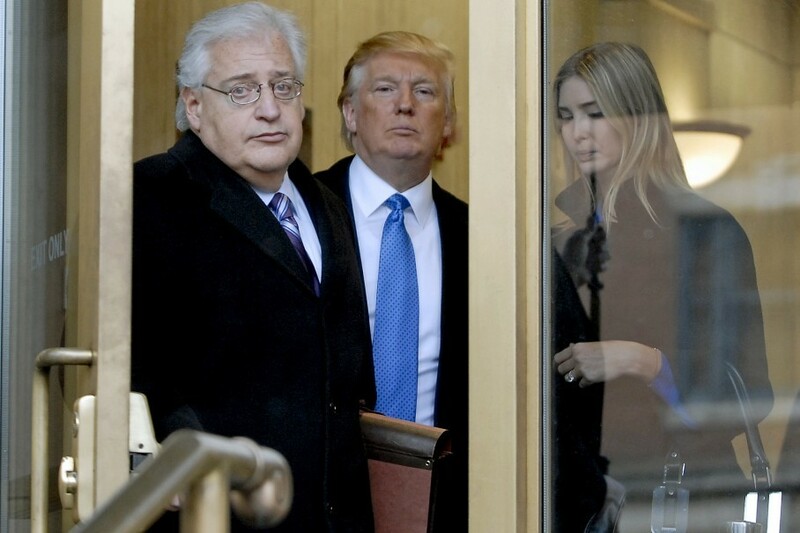 The situation has been slammed by ethics experts as “unprecedented” and a glaring conflict of interest that prioritizes Trump’s personal finances ahead of taxpayers. Reps. Elijah Cummings and Peter DeFazio sharply criticized the decision, saying the GSA’s decision rendered the lease provision "meaningless." 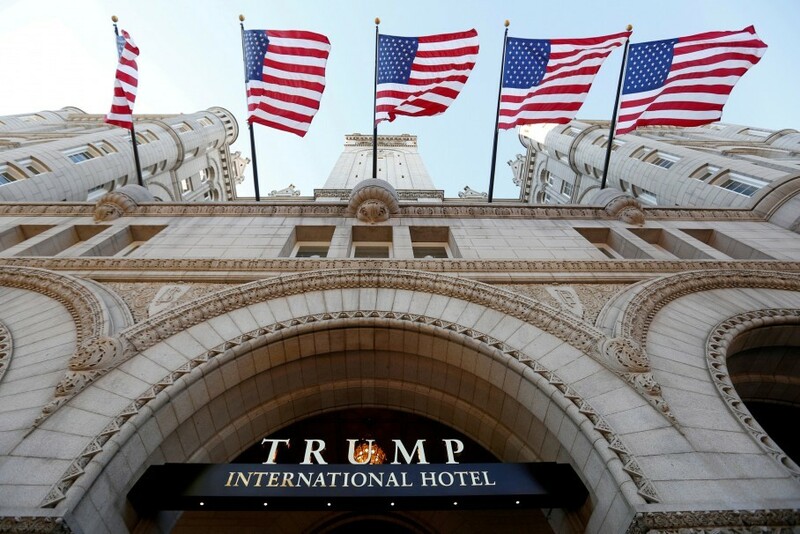 “This decision allows profits to be reinvested back into the hotel so Donald Trump can reap the financial benefits when he leaves the White House,” the Democratic lawmakers wrote. “This is exactly what the lease provision was supposed to prevent. 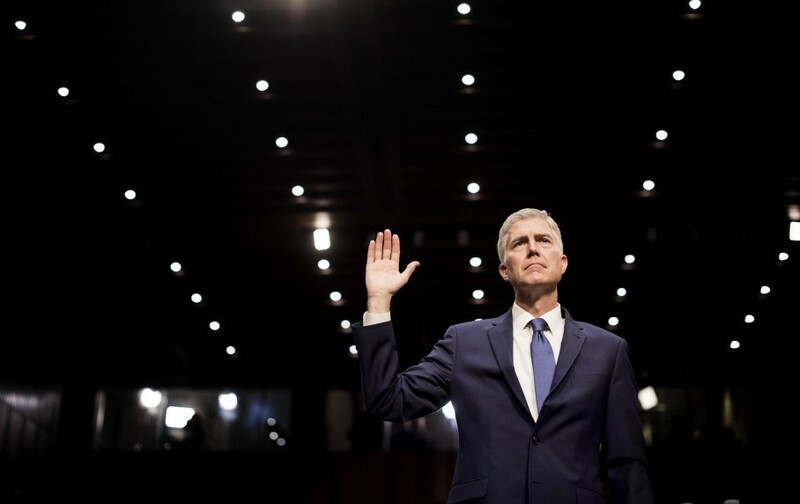 -- The final day of the hearing for Supreme Court nominee Neil Gorsuch ended on a contentious note, with Chuck Schumer vowing a filibuster that could complicate confirmation of Trump’s nominee and upend the traditional process for approving justices. Robert Barnes, Ed O’Keefe, and Ann E. Marimow report: In a speech on the Senate floor, the minority leader said he would vote no, adding that if Gorsuch “cannot earn 60 votes — a bar met by each of President Obama’s nominees and George Bush’s last two nominees — the answer isn’t to change the rules. It’s to change the nominee.” Still, he stopped short of saying that his entire Democratic caucus would be united in opposition, leaving space for some Democrats to find ways to work with Republicans." Senior Republicans vowed that Gorsuch will be approved “no matter what” – a veiled threat that they will use the so-called “nuclear option” to change the Senate rules. “If Judge Gorsuch can’t achieve 60 votes in the Senate, could any judge appointed by a Republican president be approved with 60 or more votes in the Senate?” said Majority Leader Mitch McConnell. Lindsey Graham, who has opposed such efforts in the past, indicated he'd be on board. It is also possible they may not. It is unclear whether Democrats will stick together: "Several, especially those facing 2018 reelection battles in states that Trump won, are facing staunch and well-funded opposition from GOP organizations, who have thrown millions behind efforts to bolster Gorsuch. West Virginia Sen. Joe Manchin (D) who is seen as the Democrat most likely to support Gorsuch, said he needed to hear more from the nominee. 'I haven’t completely made up my mind. I’m going to go talk to him next week; then I’ll make my decision,' Manchin said. 'But I just think the Senate is on a slippery slope.'" 1 can make very logical argument even if you believe Gorsuch is qualified, decision on SC should be delayed till Russia inquiry is finished. -- After two days of answering questions from members of the Senate Judiciary Committee, Gorsuch was not present on Thursday as civil rights leaders, conservative activists, professors, judges and former clerks debated whether he belonged on the high court. From Bob, Ed and Anne: "Opponents expressed concern about Gorsuch’s record on civil liberties, election laws and reproductive rights. ... Human rights advocates raised concerns about Gorsuch’s tenure at the Justice Department during Bush’s presidency, when he worked on cases related to the detention of terrorism suspects. Gorsuch helped draft language designed to support Bush’s claims of executive authority on matters of torture and the treatment of detainees." 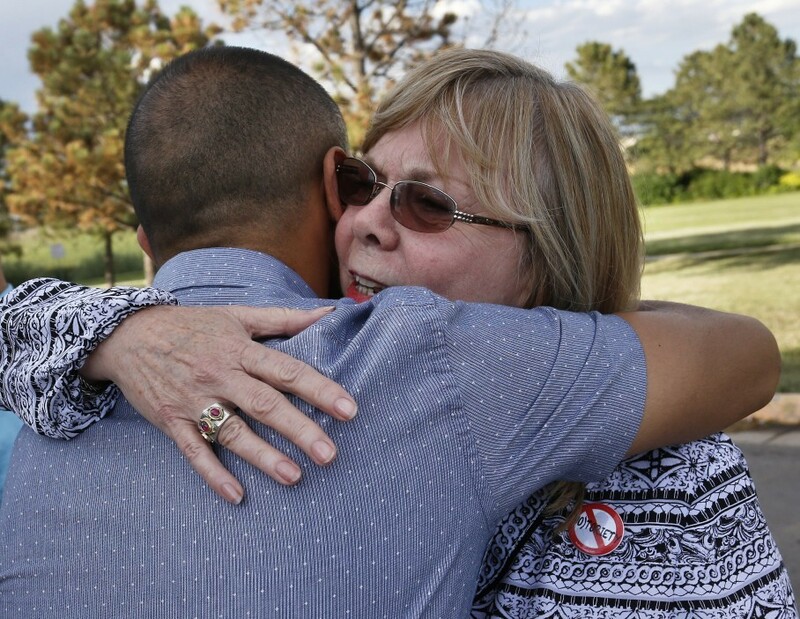 -- The most moving testimony of the fourth day came from Sandy Phillips, a self-described Republican gun-owner whose 24-year-old daughter, Jessi, was among those massacred in the 2012 Aurora movie-theater shooting. She sued the dealer who sold the shooter his bullets, but her case was thrown out because of a federal law that protects gun dealers and manufacturers from civil liability. “Her family was forced to pay the ammo dealer hundreds of thousands of dollars in attorneys’ fees,” Slate notes. Former Gorsuch clerk Jamil Jaffer – testifying on behalf of his former boss – awkwardly put his hand on this mom’s shoulder. “Judge Gorsuch is the kind of judge that Mrs. Phillips and that Jessie would want on the bench,” he declared. Key quote: “It wasn’t scapegoating. What it was doing was laying out the facts of what it was costing state taxpayers for federal failure,” Wilson said in his office high above Century City, where he still maintains an active law practice. “I may have my flaws but racism is not, never has been, never will be, one of them. … Do I think there are racists in the world? Of course I do. Do I think there were some in California at that time who were probably pleased with 187? Yeah, I do. But do I think that most of the people in California who voted for it were?” Absolutely not, Wilson insisted. Spicer: "Today is the seventh and we hope the last anniversary of the day Obama signed Obamacare." Wont it always be the anniversary? My wife, not usually snarky, after hearing of AHCA vote delay: "I guess President Tremendous Negotiator can't cut a deal with his own party"
Politico's health-care writer compared the House GOP moves on health-care to a scene in "Arrested Development:"
1. That time a novice chief executive made a foolhardy promise, his erstwhile allies rushed to get it done—and it all fell apart in the end. The House votes on health care. 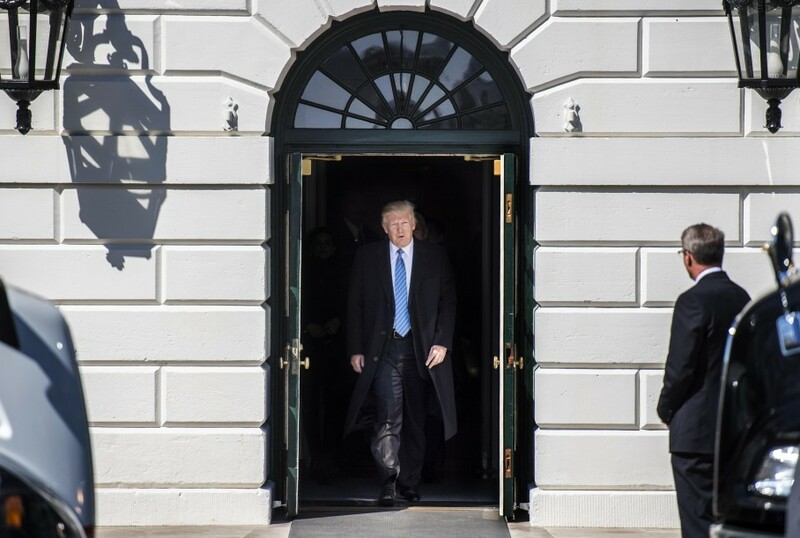 At the White House: Trump will hold a National Economic Council meeting before meeting with Charter Communications CEO Thomas Rutledge and Texas Gov. Greg Abbott. Later, Trump will have lunch with Treasury Secretary Steve Mnuchin, host a Greek Independence Day celebration, and meet with Medal of Honor recipients.